A brake failure led to the death of road racer Alan 'Bud' Jackson, an inquest has heard. The 62-year-old from Kendal lost his life at the Isle of Man Classic TT, after an incident at Creg-ny-Baa on 23 August last year. 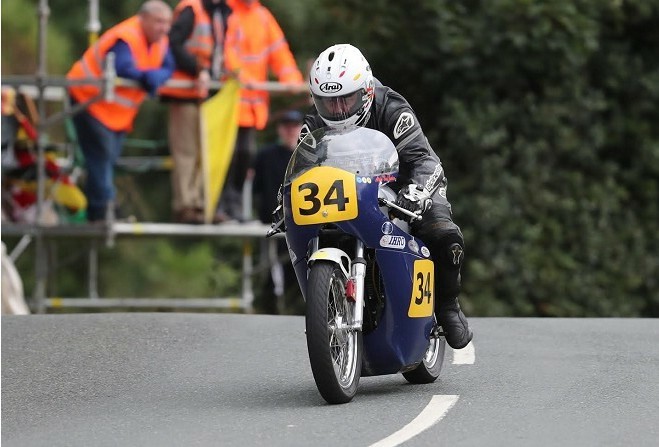 It's thought the front brake stopped working on Mr Jackson's Manx Norton machine, which he had been working on and racing for almost 15 years. That caused the vastly experienced competitor to lose control on the approach to the right-hand bend, his bike colliding with a safety barrier and then stop sign at up to 80mph, causing the sign to snap in two as Mr Jackson slid 30ft down the road. He died in hospital the following day, with multiple injuries. The Manx Norton machine had passed scrutineering checks that day with no faults, and the road conditions were good. Coroner of Inquests Jayne Hughes recorded a verdict of accidental death, saying it had been a "perfect storm" of factors with nobody to blame. 'Bud' Jackson had been racing for some 40 years, with four victories in the Manx Grand Prix.